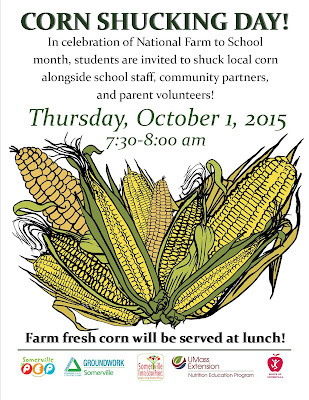 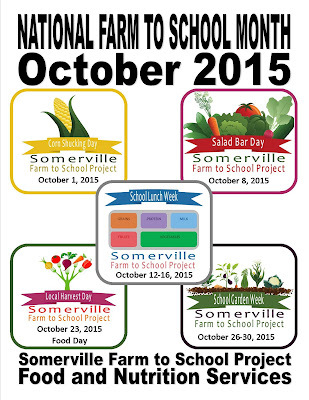 It's October and that means Farm to School Month! 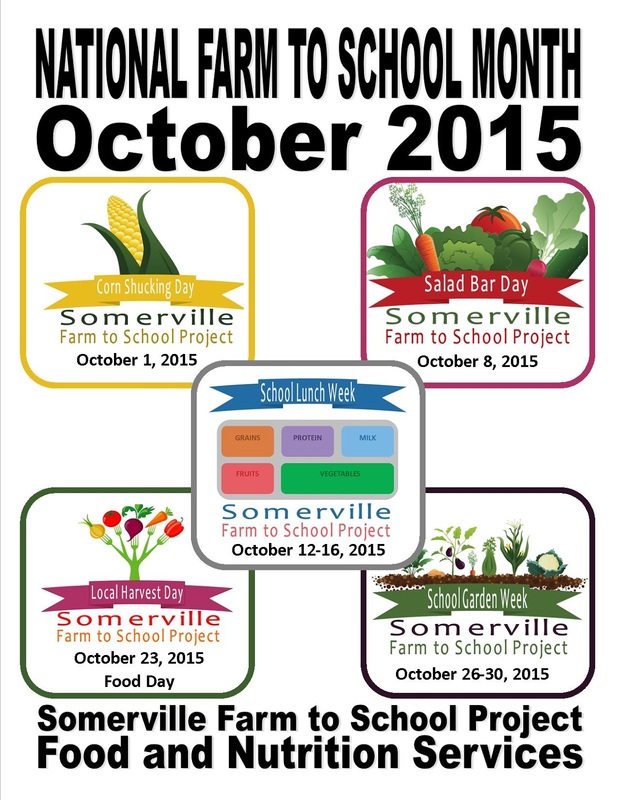 We have a busy month of real food activities planned from Salad Bar Day coming up on Thursday, October 8 to School Garden week. 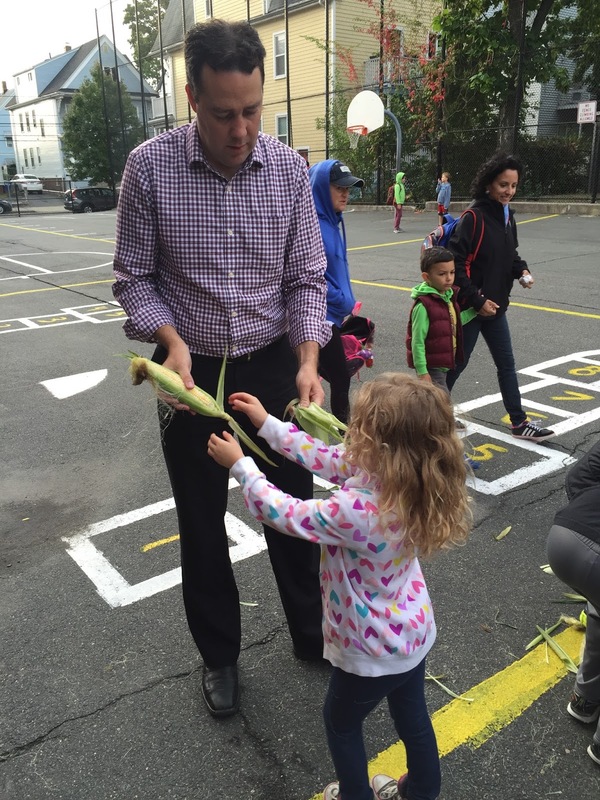 We kicked off our celebration with our annual Corn Shucking event. 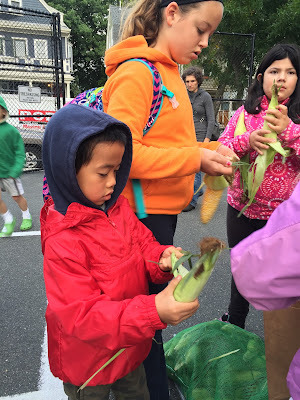 Three thousand ears of corn were shucked during an intense 30 minute time frame. 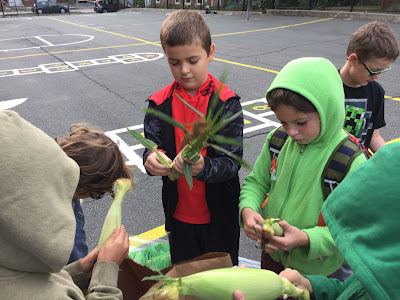 Corn was sourced through our produce vendor, Russo's and grown at Taveres Farm in South Dartmouth, MA. With hands and husks flying, students, staff, community partners and parents all helped to get the job done quickly. At the Capuano Early Childhood Center, our youngest students took their jobs very seriously. 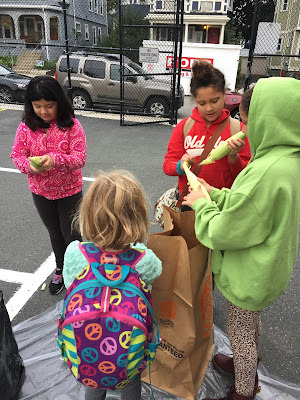 Some peeling on piece at a time. 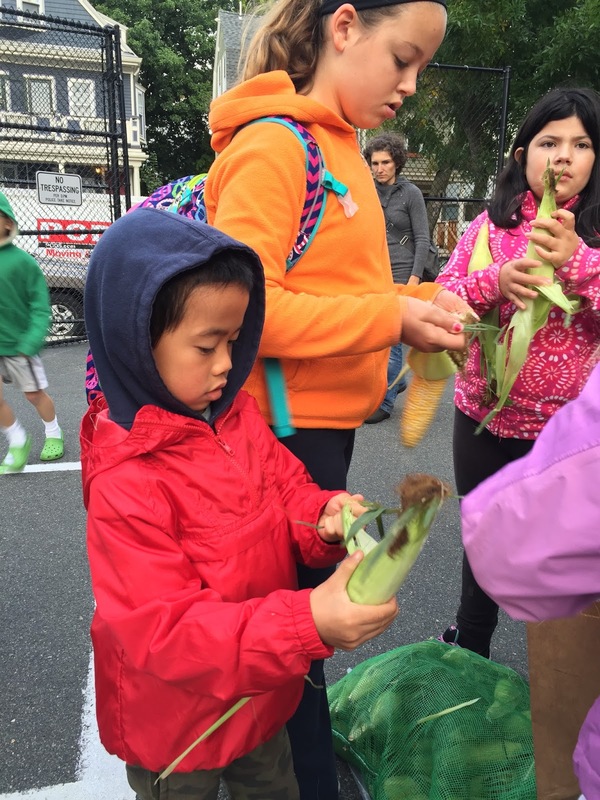 Over at the Brown School, the chilly weather didn't deter the volunteers and students from shucking outside. 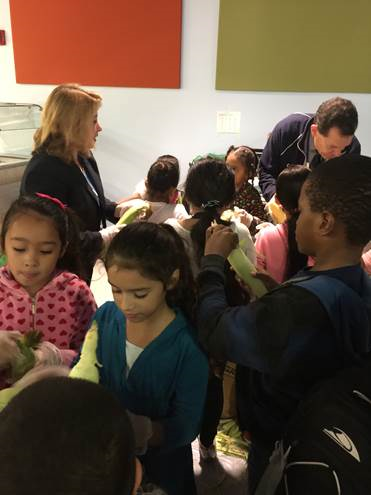 Even our leaders, Superintendent Mary Skipper and Assistant Superintendent Vince McKay lent a hand at the East Somerville Community School. 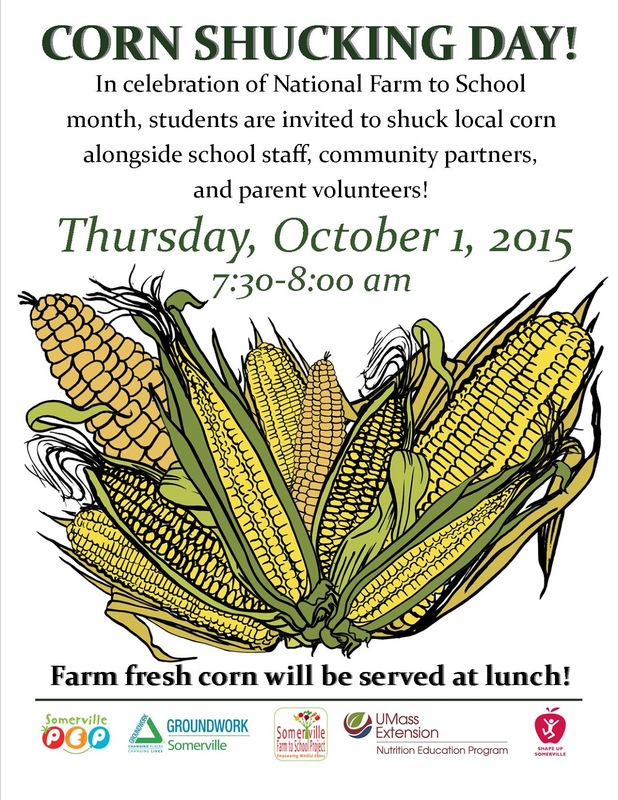 At each school, the kitchen staff wash, steam and serve the corn to students who purchase a lunch.